Serving over 40,000 participants annually, NatureBridge is the largest nonprofit residential environmental education partner of the National Park Service. Since 1971, NatureBridge has introduced almost one million students to national parks through field science education programs for schools and youth leadership programs. The National Park Service is a bureau of the U.S. Department of the Interior which manages the 392 units of the National Park System. The NPS also helps administer dozens of affiliated sites, the National Register of Historic Places, National Heritage Areas, National Wild and Scenic Rivers, National Historic Landmarks, and National Trails. Through the support of donors, Yosemite Conservancy provides grants and support to Yosemite National Park to help preserve and protect Yosemite today and for future generations. Work funded by the Conservancy is visible throughout the park, in trail rehabilitation, wildlife protection and habitat restoration. The Conservancy is also dedicated to enhancing the visitor experience and providing a deeper connection to the park through outdoor programs, volunteering, wilderness services and its bookstores. Thanks to dedicated supporters, the Conservancy has provided $92 million in grants to Yosemite National Park. Learn more at yosemiteconservancy.org or call 1-800-469-7275. The Arthur Carhart Wilderness Training Center is a United States federal government inter-agency training center devoted to training federal and state land managers who have wilderness management responsibilities; however, they have also developed school curricula on wilderness for primary and secondary education levels. Their staff of 8 people are representatives from the 4 federal wilderness land managing agencies, which are the Bureau of Land Management, the National Park Service, the U.S. Fish and Wildlife Service and the U.S. Forest Service. The wilderness managers from central Sierra National Parks, Forests and later the Bureau of Land Management Resource Areas realize that effective education is one of the keys to a successful wilderness management program, but it's also the first thing to be cut when the budgets go on their annual roller-coaster rides; their solution -- an interagency approach to wilderness education. The SNWEP implements three established and successful target programs. 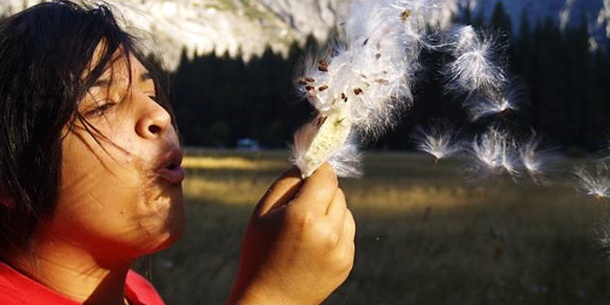 Two of these programs, Project Leave No Trace and Wilderness Riders target existing visitors, while WildLink targets culturally diverse high school students throughout California. wilderness.net provides a diversity of wilderness information including research documents, training materials, case studies, and information on the wilderness system.